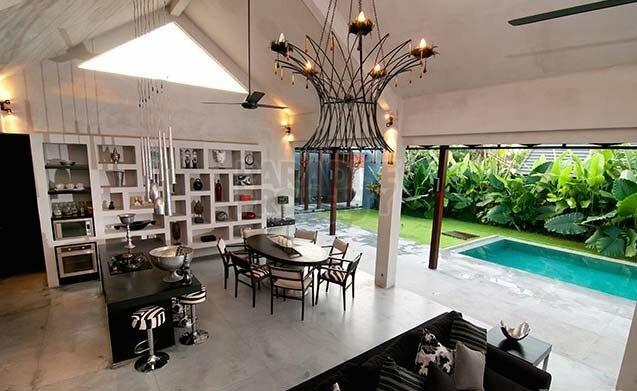 Home » Bali Property » What is a Pondok Wisata? A Pondok Wisata is a license which allows you to rent out a small property or homestay. A Pondok Wisata – HOMESTAY OPERATIONAL LICENSE FOR VILLA is a type of building permit for commercial use required in Bali to operate villas as vacation rentals. This license covers up to 3 bedrooms (for older licenses) or up to 5 bedrooms (for newer licenses). For anything bigger than that, it would require a full hotel license. Can a foreigner apply for a Pondok Wisata License? Are they required to set-up a PMA first? This License can only be under the name of an Indonesian Citizen, or managed by a PT Company with scope for business Villa Management. The Pondok Wisata licence will be issued with a duration of 5 years, after which it will need to be extended. Taxes will also need to be filed for the property but this may vary between being monthly or annually, dependent upon the requirements of the local tax authorities in your village. If the property does not generate any income you will still need to file the appropriate taxation documents. For an Indonesian; a guesthouse license can be obtained without setting up a business. For a foreigner; he/she must set up a business (PMA) in order to request a guesthouse license. Can a foreigner run a guesthouse as a private entity? As mentioned above, a foreigner must set up a business (PMA) in order to request a guesthouse license. In order to do this, the foreigner can get the guesthouse license by making an agreement with an Indonesian national who will be appointed as the Nominee, in this case it is always the property owner, whose name will be used to acquire the Pondok Wisata License. Note: It is issued to the owner of the property and is only available to Indonesian citizens. If you have purchased your land rights with an Indonesian partner, it is their name that must go on the Pondok Wisata. The time period to process the “Usaha Pondok Wisata“ will be between 6 months up to 1 year. As we are not qualified legal advisers, we can only provide a general guideline as to how the application process is done. For those wanting full legal advice regarding the Pondok Wisata license, one needs to get qualified legal advice.